Luxury leather look executive chair with deep-fill cushions for added style and comfort. 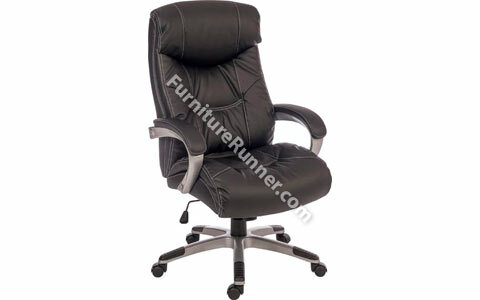 Features a gas lift seat height adjustment and reclining function with tilt tension. Include matching padded armrests.